I saw this chest at the Museum of Fine Arts Boston about two years ago. It was one of those unique moments that changed the direction of my woodworking. I don’t do this for a living, but for the simple pleasure of creating useful things. This chest exemplifies the joy and love of making. What a treasure! What a pleasant thought – that something I make could last 300 years. Made in western Connecticut by joiners from generations of woodworking families who immigrated to that rural area, this and related chests share abstracted vine motifs that spread across the fronts. 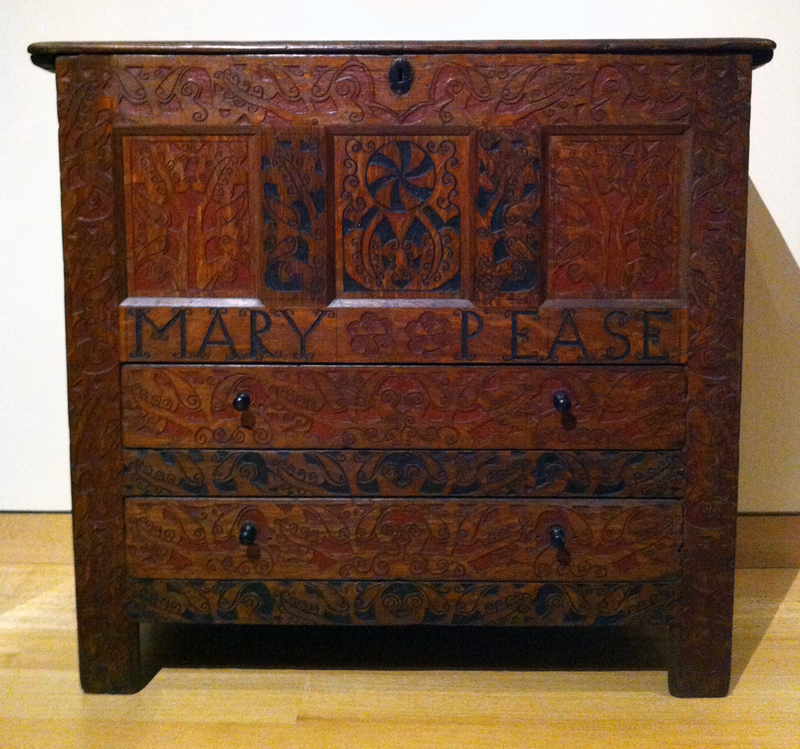 A rare feature of this chest-likely made as a dower chest and given for a marriage-is that it bears the name of its recipient, Mary Pease, of Enfield, who married Thomas Abbe in 1714. Her father was a carpenter and joiner, to whom this chest is attributed; her grandfather, John Pease, Sr., emigrated from England and was also a woodworker. Can you see this Calendar?